World famous Lean Construction expert Lauri Koskela talks to Irish building magazine about Lean adoption in construction, industry research, Lean Construction education, and the future of Lean in construction. Lauri Koskela introduced the term ‘Lean Construction’, along with Glenn Ballard, to the construction industry in 1993. Since 1991, Lauri has been involved in research on Lean Construction. His research has focused on the theories of production management as well as project management, underlying Lean Construction. With almost 10,000 citations, Lauri is one of the most cited scholars in construction management and related fields. 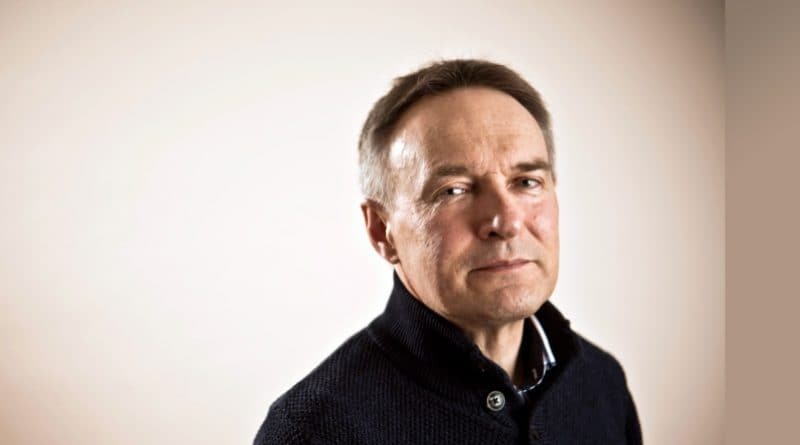 Lauri was Professor of Lean, Theory Based Project and Production Management at the University of Salford until 2014 when he was nominated Professor of Construction and Project Management at the University of Huddersfield. Lauri is a founding member of the International Group for Lean Construction. Lauri, what do you think about the increase in interest in Lean Construction in the past decade? There has been a major increase in Lean Construction implementation in various countries. 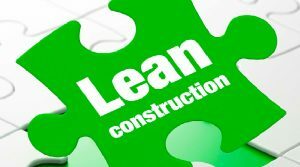 We are entering a time where Lean will be the main method of delivering construction projects. Back in the early 1990s did you think Lean Construction would grow in popularity to the level it is at now? Yes, I was convinced that Lean would become prominent as the traditional ways were too wasteful. However, we could not see in detail how Lean Construction would evolve in twenty years. Is the rise in interest in Lean Construction in the industry being adequately answered by academia in delivering Lean Construction education? No, the response on the part of academia has been sluggish. Universities have been slow to incorporate Lean Construction in the curricula. Academic staff members have backgrounds in many of the traditional disciplines and these do not incorporate Lean, rather Lean is disruptive for them. For example, there is a belief in economics that agents are always optimising, while in Lean we believe there is always waste. Economics is against introducing the idea of waste as it undermines the assumed centrality of optimising. Some economics textbooks even say there is no such thing as waste in business organisations. Because of this kind of arguments and assumptions, it has been difficult for many people to connect to Lean. Have you any recommendations for changes to construction education? At all levels of education and training, Lean methods and tools should be taught to people involved in construction management. When you add something new to a curriculum, you must take something else away, and this can be difficult when that something has been worthwhile for many decades. However, as Lean is generic and powerful, every student, without regard to the study area, should be taught these methods. I think in universities, there should be a compulsory course in Lean work, incorporating how problem-solving is done, how to coordinate and collaborate, how to maintain a clean work area. What are the main/important topics in Lean Construction research? In principle, the main topics are waste elimination and increasing value. Visual management is weak in construction, and more supporting research is needed. How to organise Lean improvement, how to plan design and production, how to implement Lean and BIM for synergy are other important topics. What is your advice for contractors adopting Lean? The change should start from the top. The top management needs to have a good understanding on Lean and push its implementation. It is good to use consultants, however over time self-sufficiency in Lean skills, through internal Lean champions, need to be targeted. It is good to network with other companies in a similar situation. I know you have the Lean Construction Institute in Ireland and a lot can be learned from that kind of organisation. What Lean tools should contractors start with? The Last Planner System is a good entry point for planning and managing project tasks, 5S for the site and office organisation. You can progressively move on to incorporate other Lean tools after having started with these. Do you have advice for contractors undertaking in-house Lean research? I would encourage contractors to have staff doing research: say through master degree and PhD studies. I would recommend hiring people with research interests and research skills. It is motivating and useful to send people to research conferences. The International Group for Lean Construction has a good mix of industry and academic attendees, with industry people presenting papers on practical topics, alongside the academic papers. It is good to liaise with academics to do research and development on Company topics. What is your advice to SME contractors thinking about adopting Lean Construction? One smart way of having free Lean training is to participate in the supply chain of a bigger Company using Lean; many such companies have established a supply chain school where Lean is taught, with other topics. It is good to start with 5S to get things into order in different parts of the Company. Last Planner is also usable; besides this, I think it is good to join a national Lean Construction organisation. SMEs in a region could organise a club for Lean education. Here at the University of Huddersfield, we target to have that sort of arrangement and we are having our first Lean event for local companies soon. Your recent research has explored BIM and Lean. Do you see these as being complementary in reducing waste and delivering value in construction? Yes, absolutely there is a synergy between BIM and Lean. Already, some years ago, I was involved in a journal paper where more than 50 ways in which BIM is helping to eliminate waste and increase value were outlined. There have been other papers since on this topic, finding many additional similar positive relations between BIM and Lean. There is an Israeli construction Company, Tidhar, which has actively explored using BIM and Lean together. Professor Rafael Sacks from Technion is advising on this, and a book will be published in 2018 to share the outcomes. How do you see the application of Lean in the construction industry developing in the coming years? Lean adoption will accelerate, there will be new companies taking on Lean. Our knowledge on Lean will widen as new tools and methods are developed by construction practitioners, and suitable tools developed in other industries are adopted. There will be standardisation of Lean, through guidelines, and better textbooks. The need for some standardisation has become apparent for example in the context of the Last Planner System; it has been understood in many different ways. The theory of Lean will improve and this is needed for better education. Will the industry become more focused on off-site construction and will this help reduce waste? Yes. Off-site construction will increase in building and civil engineering and this will reduce waste. However, a strong Lean approach is needed for ensuring that a prefabricated construction process is smooth and efficient. Can you tell us about some of the best examples of Lean projects you have come across? The best Lean projects may be in California. A pioneer on the client’s side for Lean, namely Sutter Health, has been a prime mover. There has been a good ecosystem for innovation and collaboration in California with contractors, consultants and universities. There have been good academic units, especially Stanford and Berkeley, providing research, education and training in BIM and Lean. Innovative lawyers there have created good contracts to allow for Lean. Target Value Design has been created and used on projects. This was adopted for construction by my good friend Glenn Ballard. Through Target Value Design, supported by many other innovative interventions in the form of Lean, BIM as well as contracts and organisational arrangements, it has been possible to reduce the cost of projects by up to 30%. This is a remarkable achievement. Who are the industry leaders to follow for insight into Lean Construction? Any such list is incomplete. In the US, DPR and Boldt are contractors to be followed but many others could be mentioned. In Europe, Skanska has been very active in Lean. In the UK, there are many big contracting companies introducing Lean. In Norway, Veidekke has been a leader, focusing especially on design management. A company in Finland, Fira Ltd, has been created as a Lean Construction Company from the outset, rather than implementing a transformation to Lean. The mentioned Israeli Company Tidhar has been innovative in Lean and BIM. Here in England, Highways England has been a good active Lean client. Generally, it is important to follow developments in other countries as everywhere organisations have to some extent unique starting points, and original but generalizable new ideas emerge when the ground is fertile. Construction management and the construction industry are changing. What will the next great innovations be in the discipline and the industry? Getting an innovation through is a long process – 10, 20, 30 years. BIM, Lean and sustainability, as innovations, will still be in a phase of implementation for many years to come. On the technical side, the Internet of Things, using sensor information and wireless communication, will change the way buildings are controlled. Also, site management will be affected. There will be other innovations, for example in materials, but they are not yet visible. Do governments have a role to play in their construction industries adoption of Lean Construction? They can have a role. In the UK, Highways England and the Ministry of Justice have actively advanced Lean in their supply chain and have got good results. Should governments then take an active role regarding Lean? There is much waste in traditional construction. So, there is a question: Why should the tax payer’s money be used to fund waste, avoidable cost? Also from a safety viewpoint, Lean can help prevent accidents which occur with outdated methods of management and bad practices. Thus, there is a strong moral obligation for the Governments to come out in favour of Lean Construction. Do you have any recommendations for integrating Lean Construction into public procurement? Highways England has started to take the level of Lean implementation into account when selecting contractors. This has turned out to be a great incentive to companies to implement Lean. Another method to integrate Lean is to use a procurement method that is compatible with and enabling to Lean, such as the Alliance method from Australia and the Integrated Project Delivery method from the US.